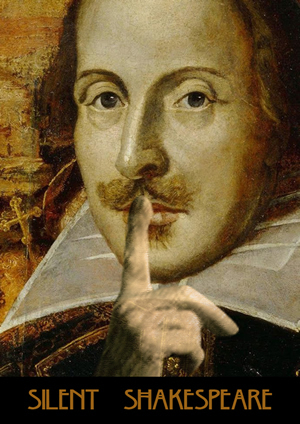 Tonight is the opening night of To The Moon's Silent Shakespeare at the Lion and Unicorn Theatre. An intrepid cast of six will examine what Shakespeare is without words, recreating the Bard's most famous scenes and characters through sight, sound and some special surprises. There's a more traditional rendering of Shakespeare's Hamlet at the Bridewell Theatre on this week, starting tonight. And also starting its run tonight is what some believe to be Shakespeare's "lost" play, Cardenio, at The Rose Theatre Bankside. Finally, as an antidote to all this Bardolatry, there's a fun new production of Gilbert & Sullivan's The Pirates of Penzance by the Charles Court Opera at the King's Head Theatre opening tonight, and running for the rest of the month. A small-scale but big-hearted production, this show features of a cast of 10 young opera stars, with the Eaton-Young Piano Duo providing a four-hands version of the accompanying orchestral score. Thursday is the first night for the new play Morning at the Lyric Hammersmith, following a successful run in Edinburgh. Written by Olivier Award-winning playwright Simon Stephens, Morning is a dark coming-of-age tale written especially for a cast of performers from the Lyric Young Company. Thursday is also the first night for Vita and Virginia at the Pentameters Theatre in Hampstead: Valerie Dent and Tamar K Karpas star as Virginia Woolf and her lover Vita Sackville-West in this revival of Eileen Atkins's dramatic adaptation of the pair's diaries and letters. Finally for theatre, Choir Boy opens at the Royal Court Theatre from Monday. It’s another new play catching the theme of adolescence: this time by Tarell Alvin McCraney, and set in an all-boys, all-black American prep school. Another Edinburgh transfer, Bravo Figaro, opens on Monday at the Tricycle Theatre. 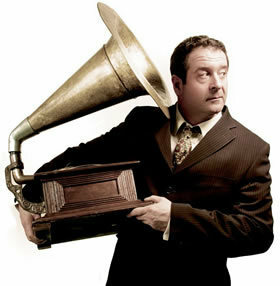 Mark Thomas’ tribute to his muddle-of-contradictions dad talks of love, life, family, art, death and opera, and runs until Saturday 6 October. Poet and rapper Kate Tempest is performing her new “everyday epic” poem Brand New Ancients at BAC over a live score of tuba, cello, drums and electronics from tonight, until 22 September. See below for a taster. Thursday is you last chance to see the critically acclaimed musical London Road at the National Theatre. Saturday is the last night for the excellent-if-flawed Ragtime and A Midsummer Night’s Dream at the Regent’s Park Open Air Theatre. And Sunday is your last chance to see The Lion The Witch and The Wardrobe at the Threesixty Theatre in Kensington Gardens, Soho Cinders at the Soho Theatre, and Spamalot at the Harold Pinter Theatre. Although Spamalot’ll be back. Of course.